I have many passions in life & food ranks high on the list. One of my favorite things about traveling is trying dishes from around the world. I decided to switch gears a little bit & let you in to a different part of my life: delectable foreign cuisine. 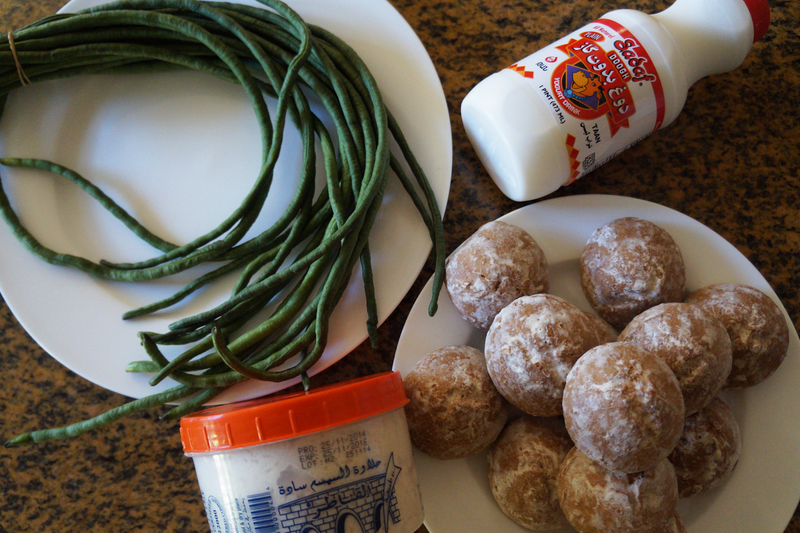 I went grocery shopping with my boyfriend at an international market & wanted to share with you some of my purchases. Always explore. Try new things. Stay full. I've actually never tried nor seen these long beans before so I chose to give them a go. They looked like an interesting & unique alternative to your run-of-the-mill green beans, although they were more expensive. They pretty much taste identical to regular green beans, but they are considerably more fun. I looooove gingerbread cookies & since it's the festive season of gingerbread men, gingerbread lattes, & basically all things ginger, I opted to get these. They aren't as gingery as I'd like; the flavor is delicate but tasty. These cookies are quite hard & would make a great treat to dunk into your coffee or tea. 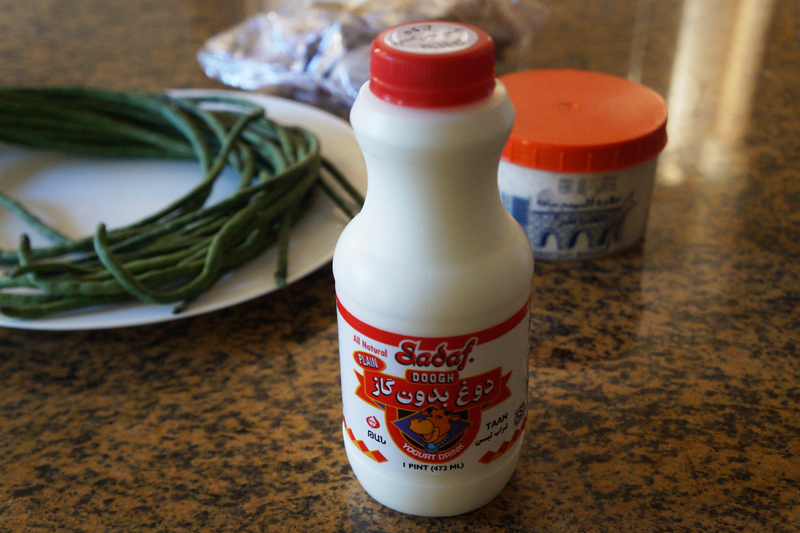 Doogh is an Iranian staple. As a child, I remember going to Persian restaurants with my family & my mom would always order doogh; I hated it back then. Doogh is a carbonated, tart, liquidy yogurt drink. Some varieties add mint. This particular one wasn't carbonated so it didn't have that kick I was looking for. My boyfriend still doesn't like doogh, but considering it took me 20 years to finally enjoy the stuff I think there's hope for him. Halva has multiple spellings (haleweh, helva, halwa, chalva, etc.) & multiple points of origin. This particular one is imported from Lebanon. The packaging describes halva as plain sesame candy. It's basically tahini (sesame seeds), sugar, & vanilla. It's incredibly sweet, has a slightly nutty flavor, & a melt in your mouth texture. It's usually served for breakfast or dessert; you can add it on toasted bread or just eat it by the spoonful, which is what I did as a kid. As an Iranian, I grew up on halva. 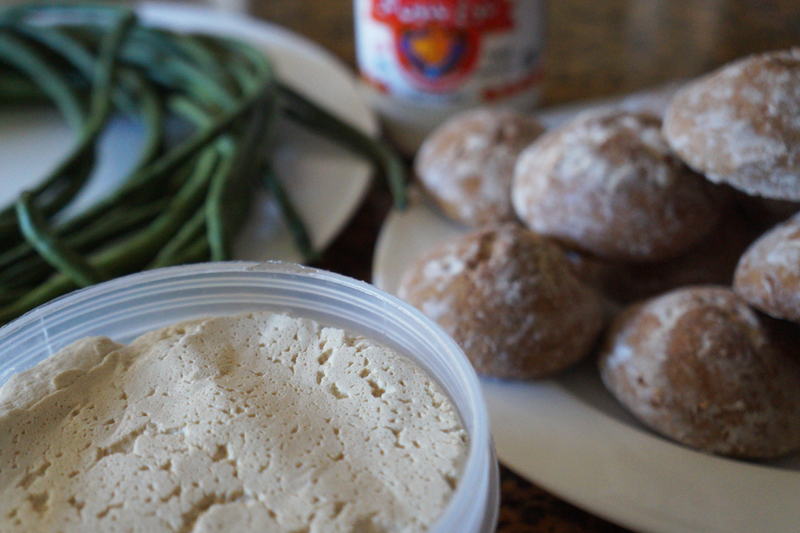 My favorite item from this batch of food from around the world would absolutely be the halva. It tastes great & you can't go wrong with the flavor. Even my boyfriend appreciates it. 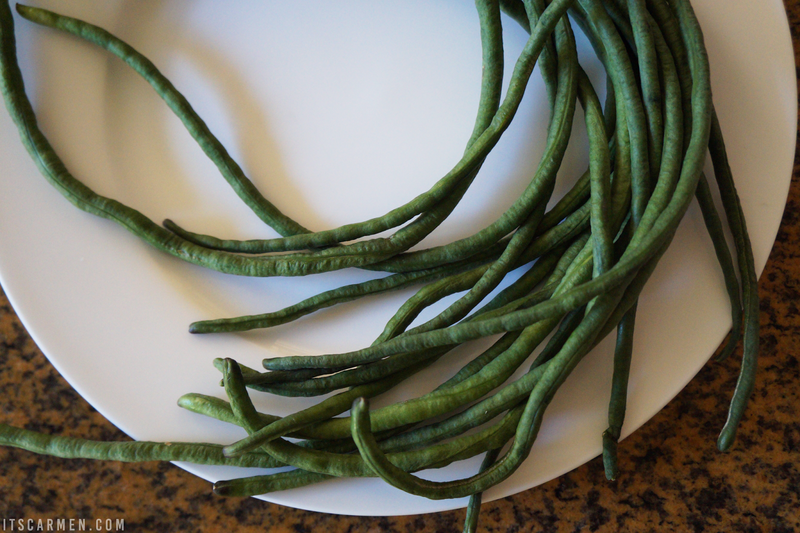 The yard long beans are great as well since they taste like green beans. They are pricier but worth trying at least once. This is such a cute and unique post! I have never even heard of doogh! I need to get a little more adventurous in my eating! Those Moldova Gingerbread cookies are making me starving! This post is so interesting !!! :) this food is new for me too. Thanks. Being a person who basically eats Chinese long beans everyday, it comes as quite a surprise that you've never seen or had them before; it's as common as muck here! I've never heard of Halva, though, and it sounds absolutely delicious! 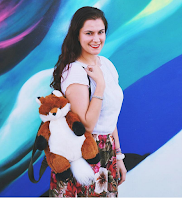 I'm loving this post, Carmen; it's such a unique and different take on foodie posts! One of the best things about the world we live in is the chance to try delicious food from so many different cultures. Wonderful post! I love halva, too! The YouTube videos of people trying foods are hilarious! This reminded me of that, but without the reaction of tasting something strange. Gingerbread cookies is a must, we also have it in Ukraine, so cool to see you found it, nice post! Such a cute post! I have been curious about those green beans after seeing them in a couple of stores. Good to know they taste similar. And those cookies!! Now I want ginger bread! wow these look so cool and interesting. I would try all of them, my bf and I like to try new foods as well, and we always find something we both like, it's a fun experience! I love trying new food but I am limited due to being a vegetarian. The only one that I have tried from your list is halva, which I really liked. Thanks for sharing, really interesting! I love this post, what a fun idea! I've never tried any of these foods, but the halva looks delicious! Thaks for sharing! I have never tried -or heard, for that matter- of these food/drink. Goes to show that you think 'you've seen it all and you've tried it all', but that there are so many more types and kinds out there! 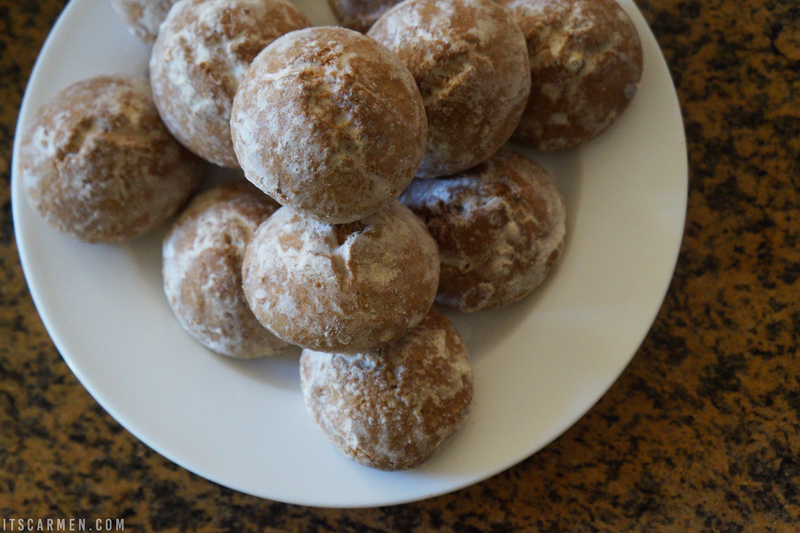 The Canadian in me immediately saw Timbits in those pictures of the Moldova gingerbread cookies, haha! I love ginger/gingerbread flavoured things so one day I hope to try them. Have you tried any Russian food? 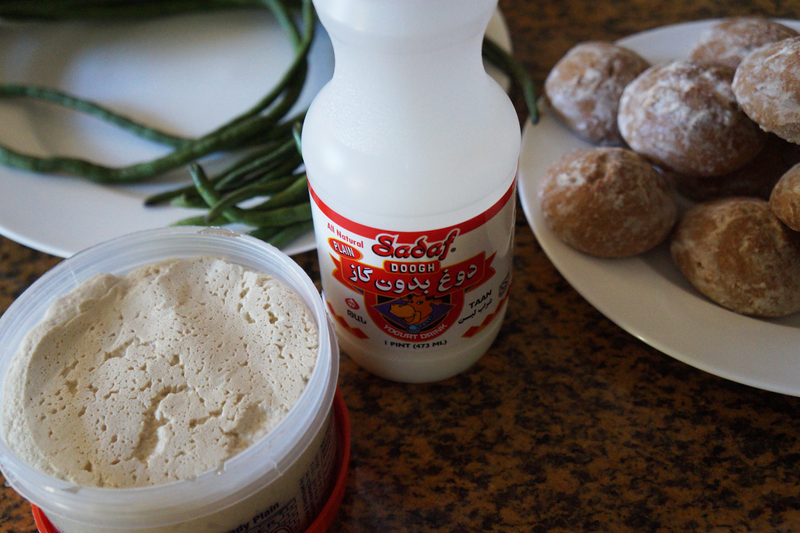 Lebanese food is so yummy...and I'm a huge fan of halva (halaweh), it's actually good for you as it's rich with sesame oils and Tahini... lovely blog btw! What a cool idea, I love trying unique foods!